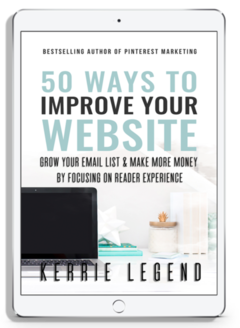 This is a fantastically detailed book about 50 ways to improve your website so you can impress your readers, improve their experience, shift the focus off of you and more on them, boost your sales, and grow your email list. This book discusses everything from designing the perfect menu to creating sales funnels. Topics include: custom menus, SEO, internal links, getting leads, content upgrades, footer menus, social media proof, Instagram feeds and walls, how to create a resource library, membership sites, sleek design, Pinterest, Facebook and Twitter, colors, branding, what to display on the front page of your website, the three main funnel areas of your website, calls to action, the use of sliders, font selection, Google fonts, creating checklists & reports, making downloadables, value proposition, drop cap styles, how to beef up your FAQ page, author/blogger media kits, accent colors, what to highlight and feature on your website, evergreen content, creating videos, courses, how to get readers to sign up for your email list, splash banners, sales pages, Ontraport, EverWebinar, and so much more. 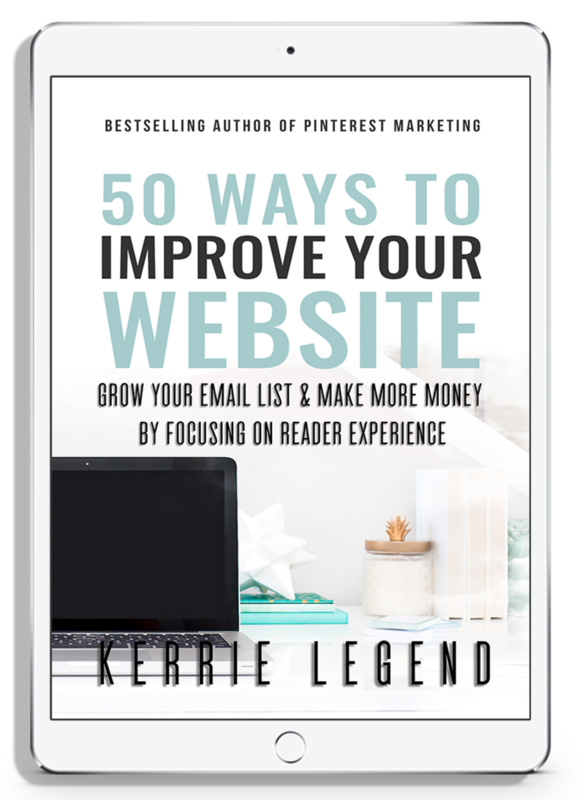 Take each chapter day by day and make the suggested improvements, or spend some time at night or on the weekends to implement what will be a dramatic change and positive improvement for your blog and website.